A guy band is used to stabilize the vent above the roof line or where a vent support can not be used. Secure with 4 guy wires (not included. 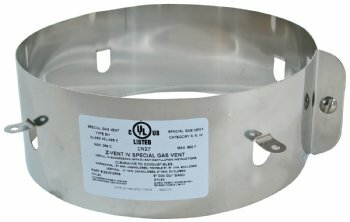 Available for Single Wall or Double Wall Z-Vent.